Have you ever wondered how climate change affects bees? 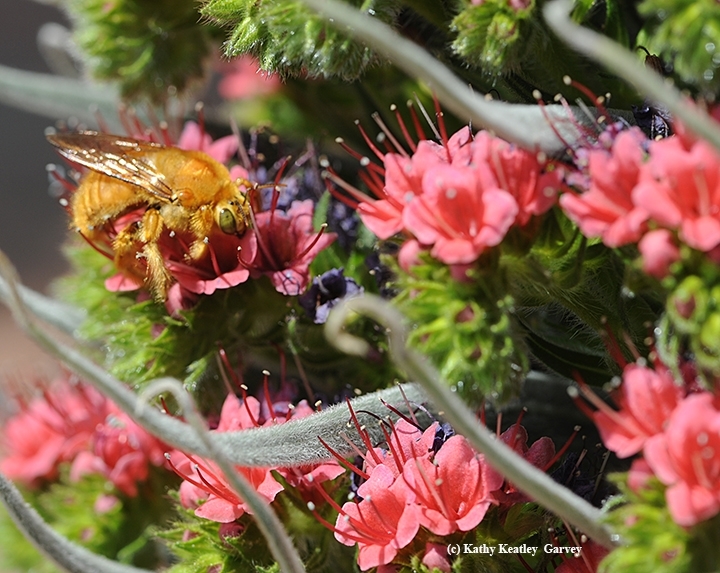 Honey bees and native bees? 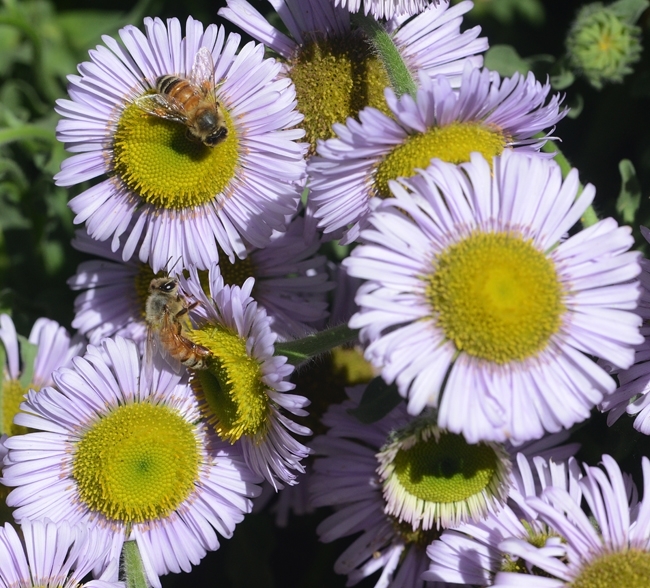 You can find out Wednesday, Oct. 12 at a program on "Bees and Climate Change” at the Häagen-Dazs Honey Bee Haven, located on Bee Biology Road, west of the central campus. The event, set from noon to 1:30 p.m--and free and open to the public--will include a tour and two speeches. 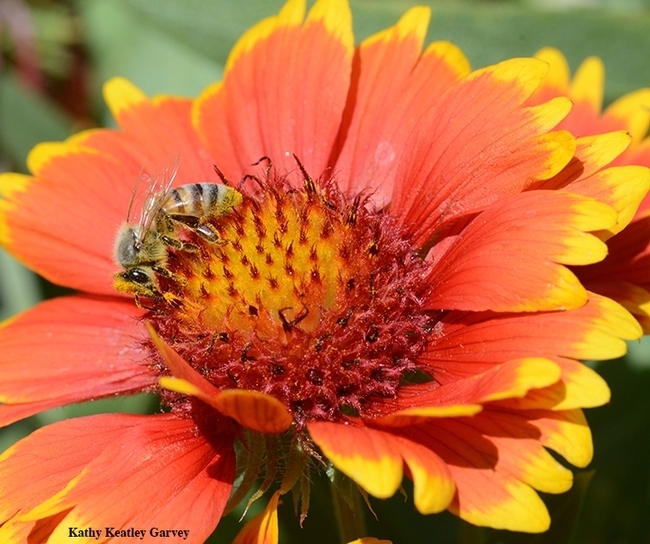 Christine Casey, manager of the honey bee haven, will discuss “Climate Change and the Bee Garden," and Robbin Thorp distinguished emeritus professor of entomology, UC Davis Department of Entomology and Nematology, will cover "Effects of Climate Change on Native Bees." This is part of the 2016-17 Campus Community Book Project, spotlighting Raj Patel's Stuffed and Starved: The Hidden Battle for the World Food System. The haven, part of the UC Davis Department of Entomology and Nematology, was installed in the fall of 2009 following a generous donation from Häagen-Dazs, known for its premium ice cream. 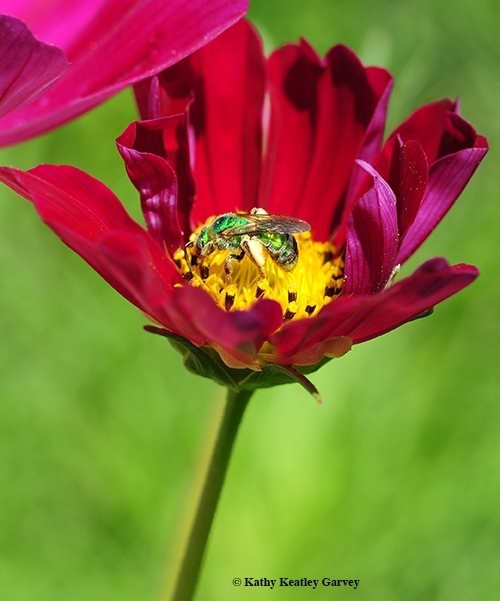 Approximately half of the company's flavors depend on bee pollination. Tour the low-cost, agricultural technologies that UC Davis researchers are using around the world. Edible plant giveaway to the first 20 visitors. Join the Student Farm for a special tour and harvest demonstration. Campus and community members are all welcome! 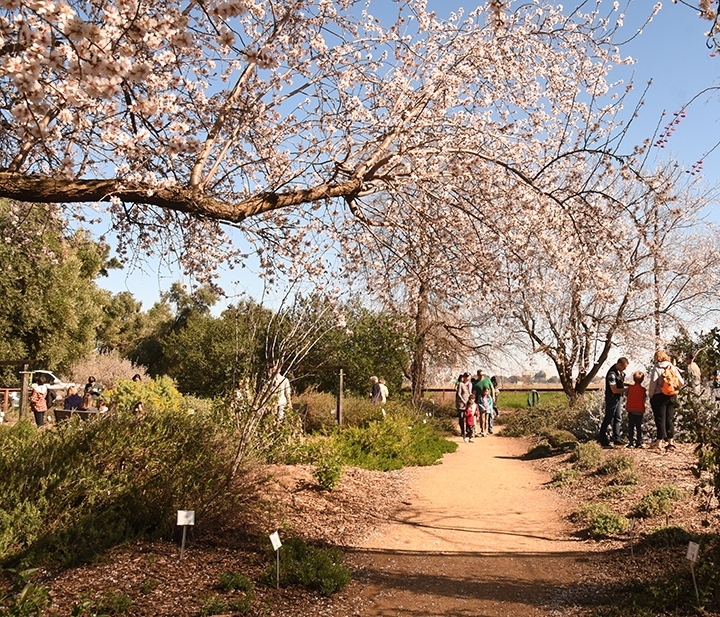 Tour the Salad Bowl Garden and learn more about the Arboretum Edible Campus Project in celebration of World Food Day, which will be Sunday, Oct. 16. 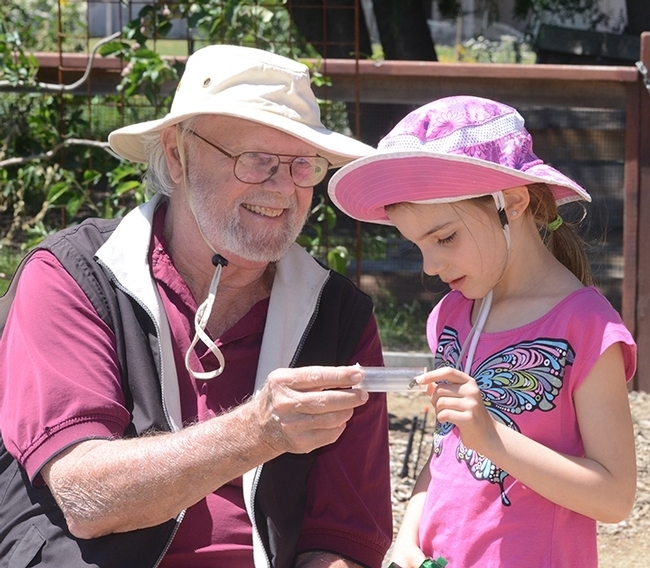 Another upcoming event affiliated with the Campus Community Book Project will feature agricultural entomologist Christian Nansen of the UC Davis Department of Entomology and Nematology. He will speak on "Urban Food Production in the Digital Age--Local Empowerment and Sustainability, on Wednesday, Jan. 18 from noon to 1 p.m. in the Memorial Union. Those are just some of the events calendared for the academic year and showcasing the Campus Community Book Project. See more events here. The Campus Community Book Project aims to promote dialogue and build community by encouraging diverse members of the campus and surrounding communities to read the same book and attend related events. The book project advances the Office of Campus Community Relations (OCCR) mission to improve both the campus climate and community relations, to foster diversity and to promote equity and inclusiveness. For more information on the Campus Community Book Project, visit ccbp.ucdavis.edu. Head on over to the haven on Friday, May 6. That would be the Häagen-Dazs Honey Bee Haven. The occasion: It's National Public Gardens Day, as declared by the American Public Gardens Association, and UC Davis is participating. 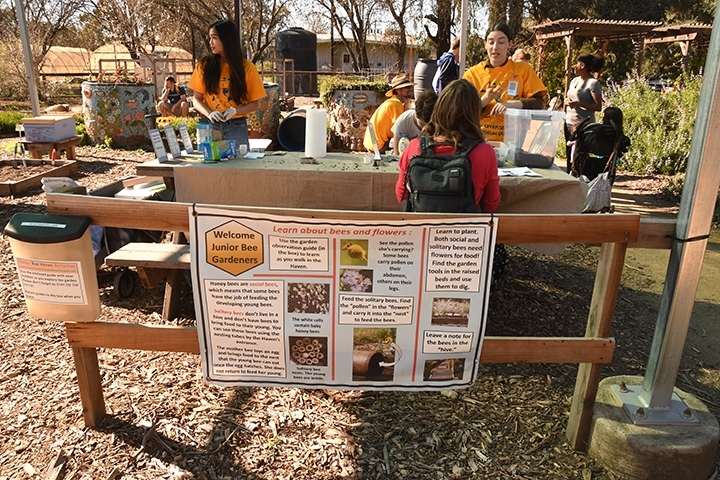 The haven, located next to the Harry H. Laidlaw Jr. Honey Bee Research Facility on Bee Biology Road, west of the central UC Davis campus, will celebrate with an open house that night from 5:30 to 7 p.m. The garden tour begins r at 6. Free sunflower plants will be given while they last. Parking is free. 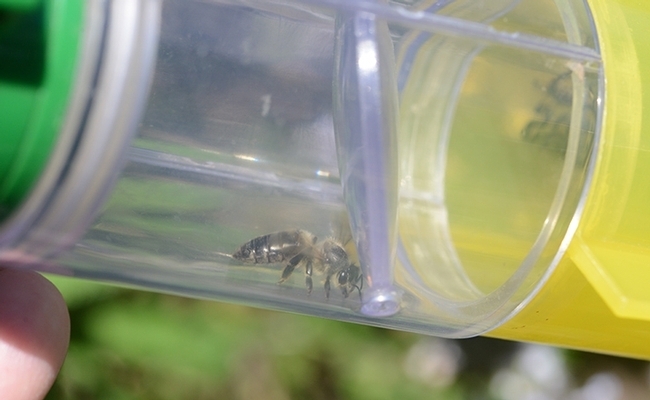 Learn how to catch and observe bees up close, and see honey bees at work in an observation beehive. Hear from experts on such subjects as bee diversity and identification, and how to create a garden to help bees. 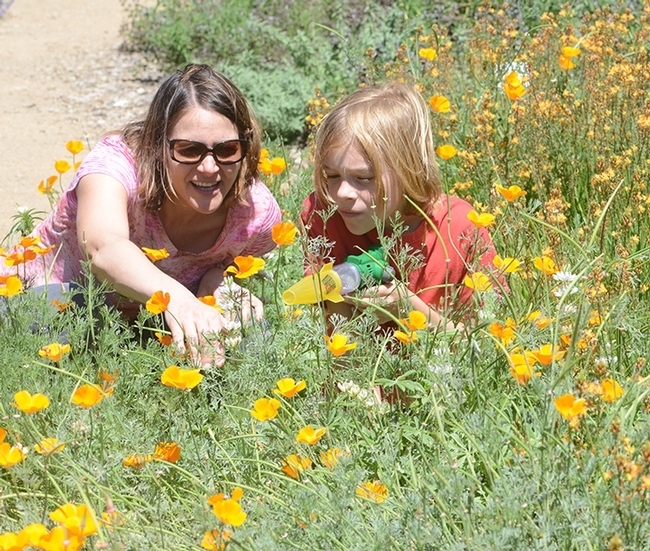 The half-acre Häagen-Dazs Honey Bee Haven was installed in the fall of 2009 under the leadership of then interim Entomology Department chair Lynn Kimsey, director of the Bohart Museum of Entomology and professor of entomology. Fast forward to today. Christine Casey serves as the staff director of the haven, and Extension apiculturist Elina Niño is the faculty director. There is much to see at the haven. A six-foot-long worker bee sculpture anchors the garden. It is the work of self-described "rock artist" Donna Billick, who specializes in mosaic ceramic art. 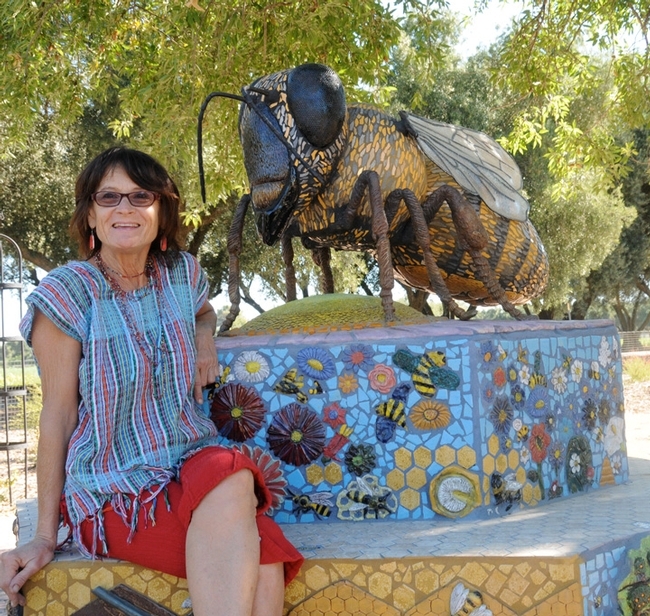 Billick and UC Davis entomology professor Diane Ullman co-founded and co-directed the UC Davis Art/Science Fusion Program, which spearheaded the student/community art in the garden. See history of the garden. And National Public Gardens Day? What is it? The sponsor, the American Public Gardens Association, "serves public gardens and advances them as leaders, advocates, and innovators." As told on the website: "
"A public garden is an institution that maintains collections of plants for the purposes of public education and enjoyment, in addition to research, conservation, and higher learning. 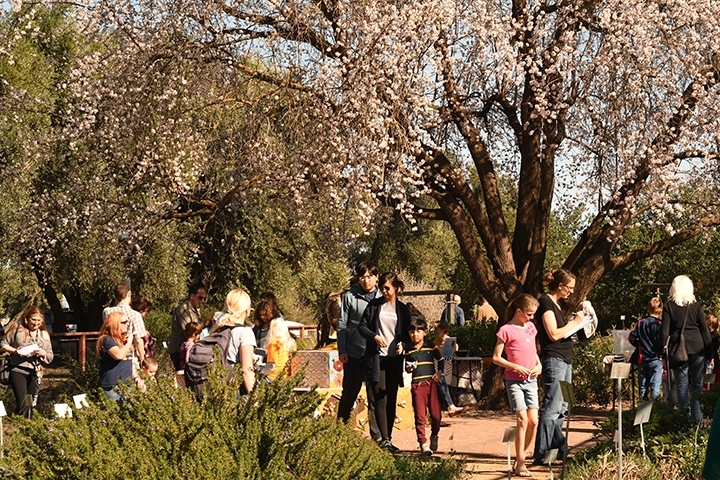 It must be open to the public and the garden's resources and accommodations must be made to all visitors." 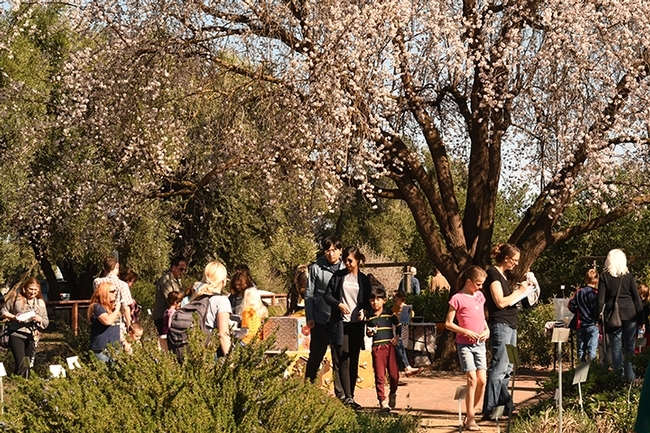 The Häagen-Dazs Honey Bee Haven is open from dawn to dusk. Admission is free. 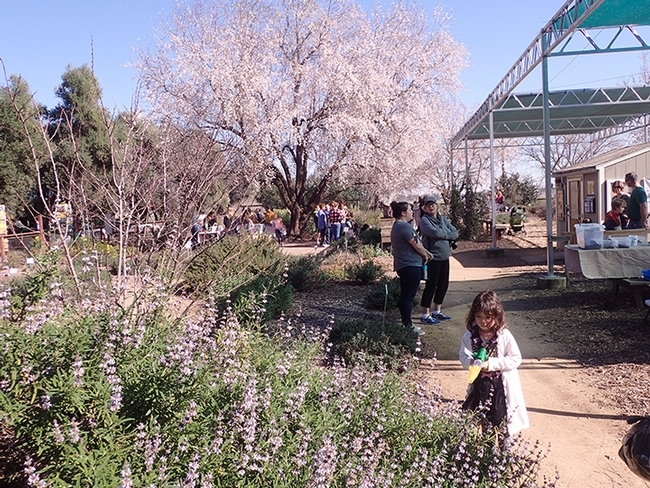 Check out the website for group tours and educational information, including what's planted in the garden and helpful hints about what you can plant in yours. 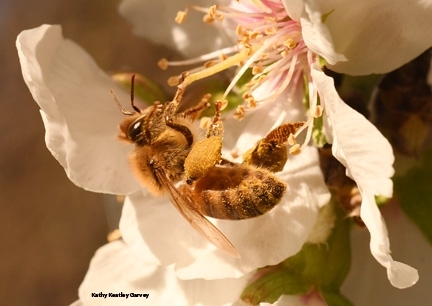 You're likely to see many species of bees at the Häagen-Dazs Honey Bee Haven open house from 11 a.m. to 2 p.m. on Saturday, April 9 on Bee Biology Road, University of California, Davis. 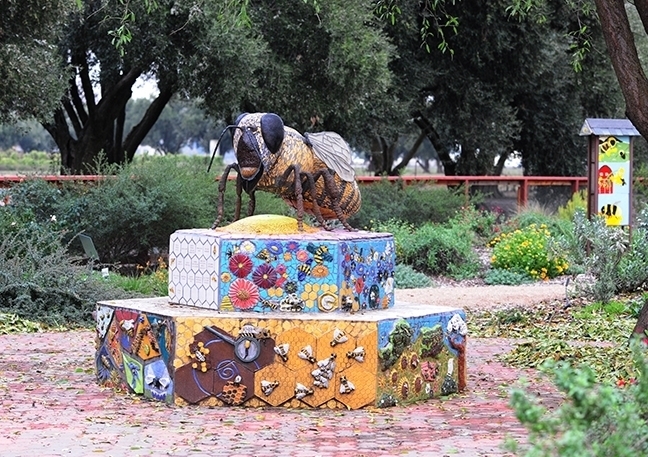 The half-acre bee garden, operated by the UC Davis Department of Entomology and Nematology and primarily funded by the premier ice cream brand, was planted in the fall of 2009. 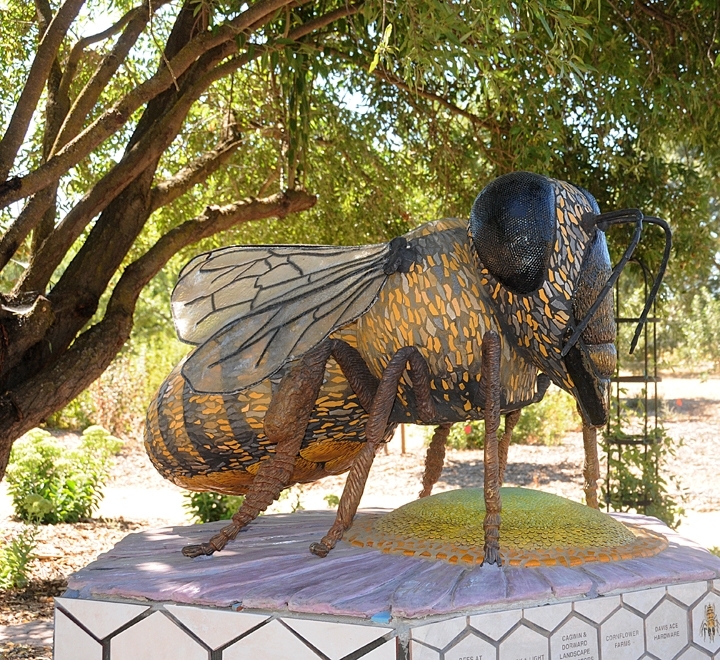 It's located west of the central campus, next to the Harry H. Laidlaw Jr. Honey Bee Research Facility. 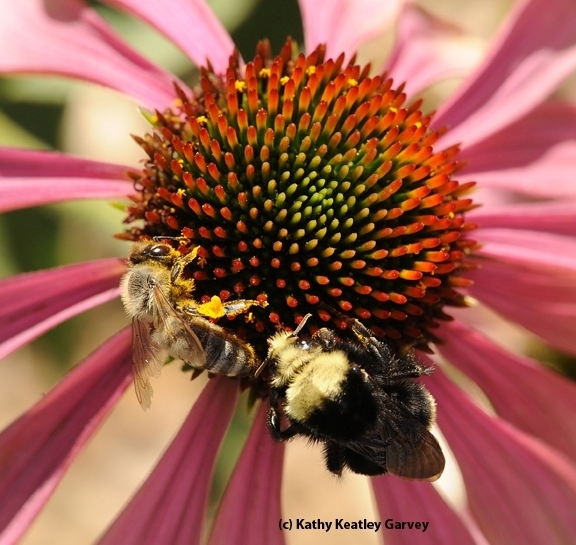 The garden contains scores of bee friendly plants, visited by honey bees, bumble bees, carpenter bees, sweat bees, European wool carder bees and other pollinators. 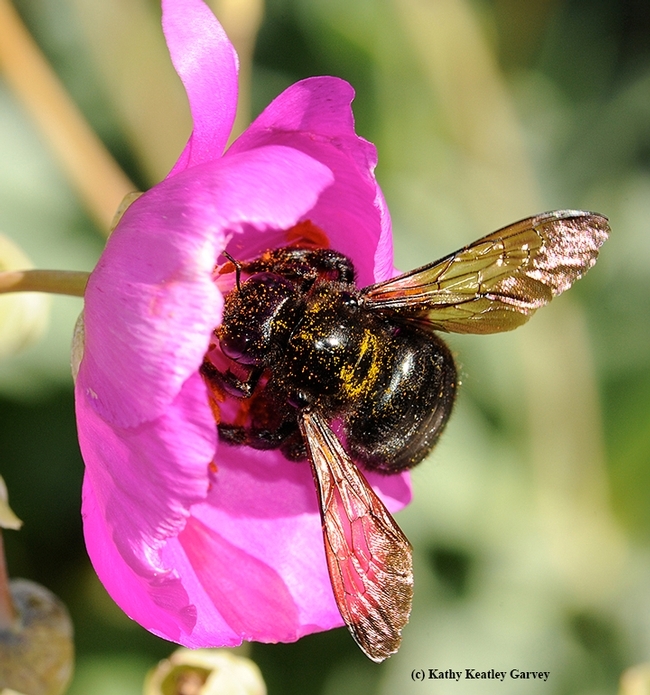 Two of the bees you'll see Saturday are the Valley carpenter bees. The male and females are clear examples of sexual dimorphism. 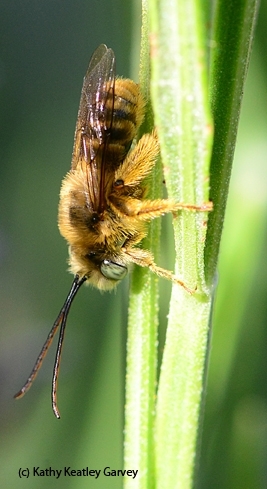 The male, often called "a teddy bear bee," is blond with green eyes, while the female is a solid black. 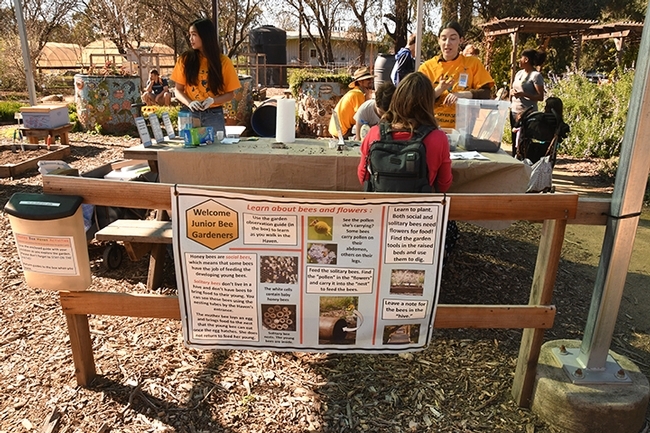 Native pollinator specialist Robbin Thorp, distinguished emeritus professor of entomology at UC Davis, collected a couple of the male Valley carpenter bees today for the spring open house. If you're apprehensive about touching them, don't bee. "Boy bees don't sting," he says. 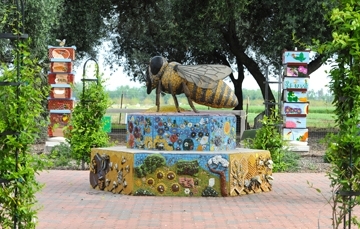 A six-foot-long sculpture of a worker bee, "Miss Bee Haven," the work of Donna Billick of Davis, anchors the haven. 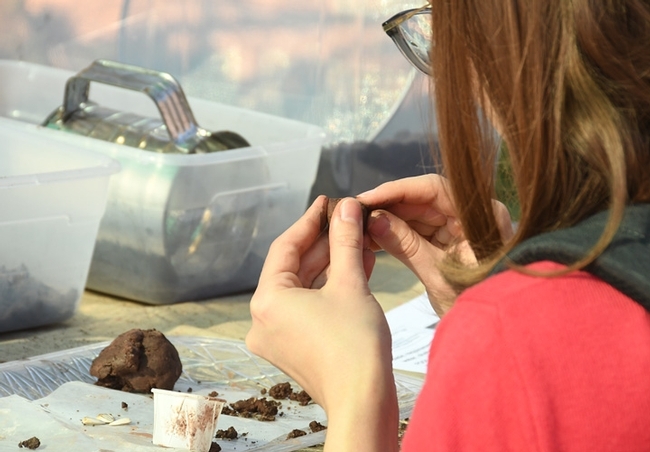 Throughout the garden, you'll see the ceramic mosaic work of the UC Davis Art/Science Fusion Program, co-founded and co-directed by Diane Ullman, professor of entomology at UC Davis, and Billick, a self-described "rock artist." Today it is managed by entomologists Christine Casey, staff program representative, and Extension apiculturist Elina Niño, faculty director of the haven.